Today is all about Google Webmaster Tools. I know I do not use this site perfectly – and this article will definitely not cover it all, but it will be my feeble attempt to tell you what I have learned. PLEASE let me know if you have any questions (I can at least Google for the answers!) and we can work through this together. 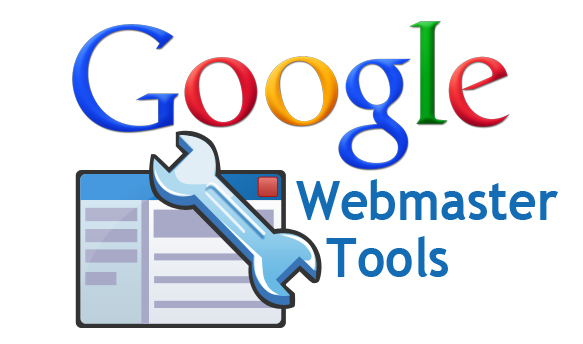 Google Webmaster Tools provides you with detailed reports about your pages’ visibility on Google. Basically, it tells you everything that Google sees in your site. All the good. And all the bad. To get started, you need to add and verify your site. This is how you do it. To add and verify your site, you need to add TWO sites. Add http://www.yoursite.com AND yoursite.com. This is essential – but seems redundant. Once you do this, you need to verify them. You can only verify your site if you have submitted BOTH urls. If you are just now adding your urls, you can choose to verify them by linking them to Google Analytics. There are other ways – but this is the BEST. If you have already submitted them, click “verify this site” and then still choose to use Google Analytics. This should successfully verify them. For other ways to verify your site, see this article. (If you haven’t set up Google Analytics yet, you can do it now, or wait until next week when I talk about it!) BTW, If you are using Blogger, you can automatically add and verify sites by enabling Webmaster Tools directly from the Blogger dashboard. And, if you use WordPress.COM, not WordPress.ORG, read this article. At the top right hand corner, click the Gear Image and then click Site Settings. This is cleverly hidden – but is really cool. Note that this is a little like playing with fire and you wouldn’t want to disqualify your content from being displayed to Europe unless you are truly only selling to the United States. However, if you have multiple websites or subdomains which are targeting foreign countries then this will be a must for you to help control where your content appears . You can change your preferred domain and crawl error speed. You can only do these if you have verified your site. The site dashboard gives you a quick rundown of everything happening on your site. Clicks are how many times your site has been clicked (obvious, I know), and impressions are the number of times your site has appeared in a search. You will also receive any messages about errors on this page. Basically, you want all your Crawl Errors to show green check marks – and all your stats to look good :). If you click “Search Appearance” and then click the tiny ? button next to it, a great explanation drops down of Search Appearance Terms. Great little education, there. Under Data Highlighter, there is a cool new tool that allows you to tag titles, authors, categories and other seo-rich things for individual posts. This seems fun – but I have only played around with it. Let me know if it works! Under HTML Improvements, there is a GREAT to-do list of things to fix for your site. My list says mostly “Duplicate Meta Descriptions” and “Duplicate Title Tags”. Hmmm…seems like that’s what I need to work on! If you are a super-duper awesome blog, you might have Sitelinks for your blog – these are the multiple categories that show under your blog’s Google search. I don’t have any – yet – but you can manage them (delete, not add) under “Sitelinks”. This section is GREAT for knowing what is linking to your site. There isn’t much to manage (except change the dates for the lists), but it gives the best list of what searches are finding your sites. Have you seen those posts where people list the crazy searches that supposedly link back to them? This is where you find that list for your site! More stats. This is great to know which of your site’s URLs are actually indexed for Google – maybe fewer (or more!) than you think! You can also delete url’s here – but do so with caution! This was the biggest eye-opener for me. Remember that I mentioned I changed my permalinks and it ended badly? This is where I discovered that. Under “Crawl Errors”, you can find how many of your site’s links out there are actually not getting back to your site – but to a 404 error message. This can REALLY hurt your site. Right now I have 70 errors – which is bad. But at one time I had over 3,000! That is 3,000 links that people clicked that eventually sent them away from my site. These really hurt your bounce rate (see in Google Analytics) if you care about that. I fixed mine by manually redirected them with the Redirection Plugin. If there is a better way to do this, please let me know! Under “Sitemaps”, you need to Add and Test your sitemaps (that I talked about getting here). This is pretty essential for Google to map your site. Haha, yeah. The rest of the site is pretty much stats – which are awesome! Spend some time looking around and getting to know your site. I check back every once and awhile to read the stats and track my crawl errors. It is a pretty clever website, if I do say so myself. Last week I found an AWESOME video explaining SEO on Youtube. I would totally recommend watching it – because it really helps explain everything.